Our off-camera conversation was pretty interesting, but we got some good stuff while the camera was rolling, as well. 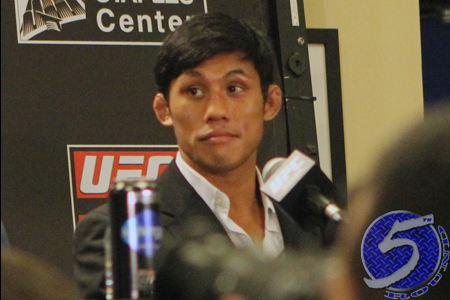 The Vietnamese-American broke down his split decision victory over Miller, the bond he’s established with the talented squad at Team Alpha Male, how being humbled by Jim Hettes rejuvenated his career and why he was silently hoping the FOX broadcast would be boring. Phan bumped his professional record to 18-10 following last night’s outing.